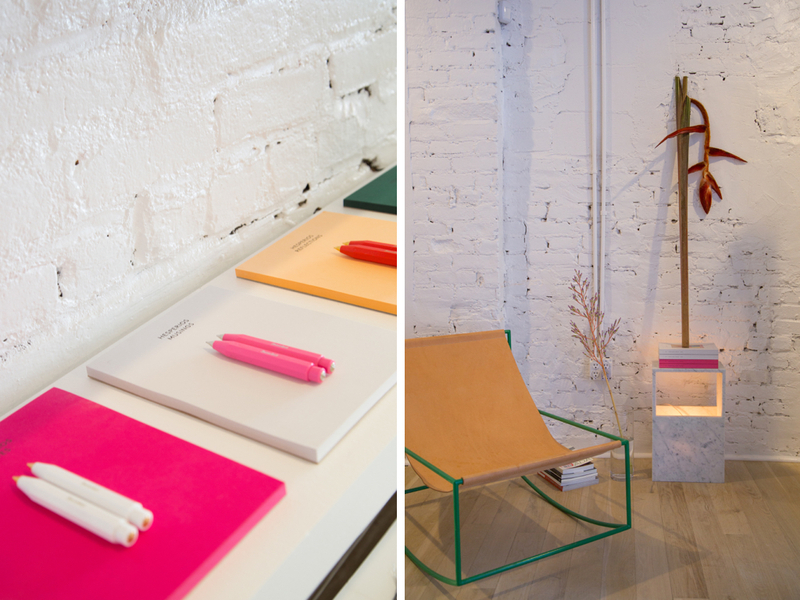 The knitwear brand’s new brick-and-mortar is equal parts shop, all-day café, and civic garden. How many sinks does it take to make a commercial kitchen in New York City? 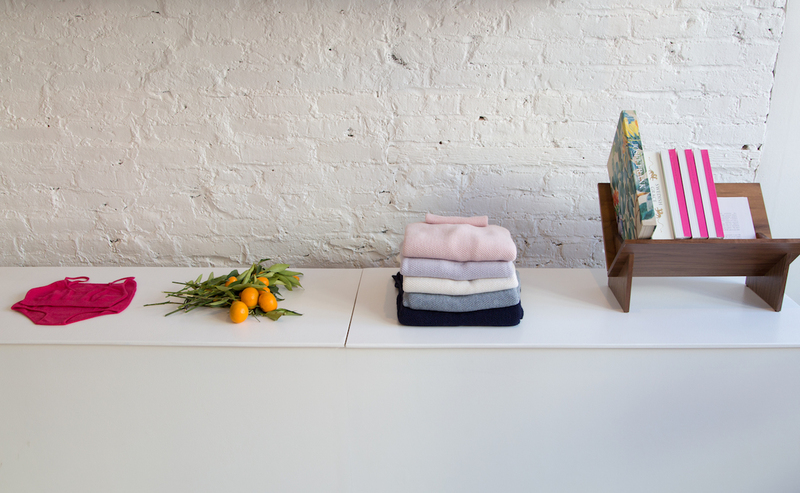 “You’re required to have three,” says Autumn Hruby, founder of the knitwear label and literary journal Hesperios, recounting the design dilemma she wrestled with while adding a café to her brand’s maiden brick-and-mortar in SoHo. “SNL couldn’t have written a better script about it,” she adds, outlining the store’s extreme makeover from LED-flecked vape den to Danish-inspired urban sanctuary. 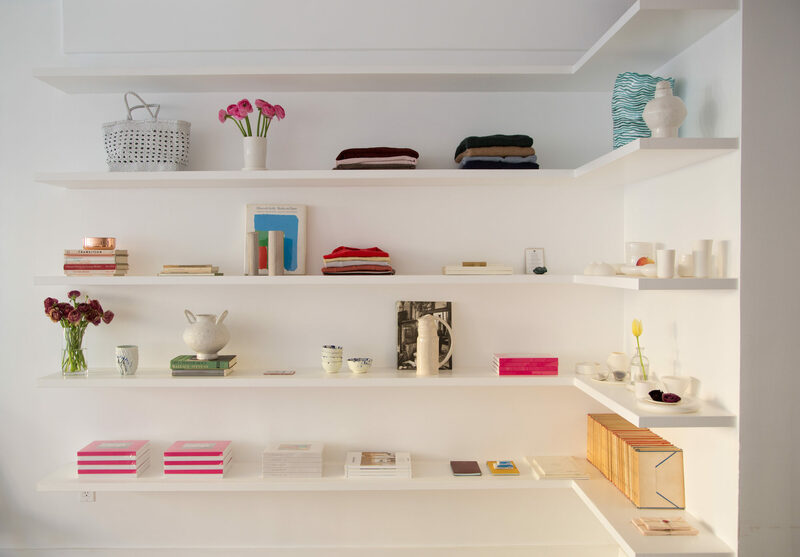 Judging from its sunny white-and-wood interiors—which house alternating stacks of Hruby’s two-year-old art and literary magazine, neatly folded bundles of her signature alpaca wool pullovers, and an assortment of pottery by ceramists such as Babs Haenen and Carla Knapp—the metamorphosis was a successful one. 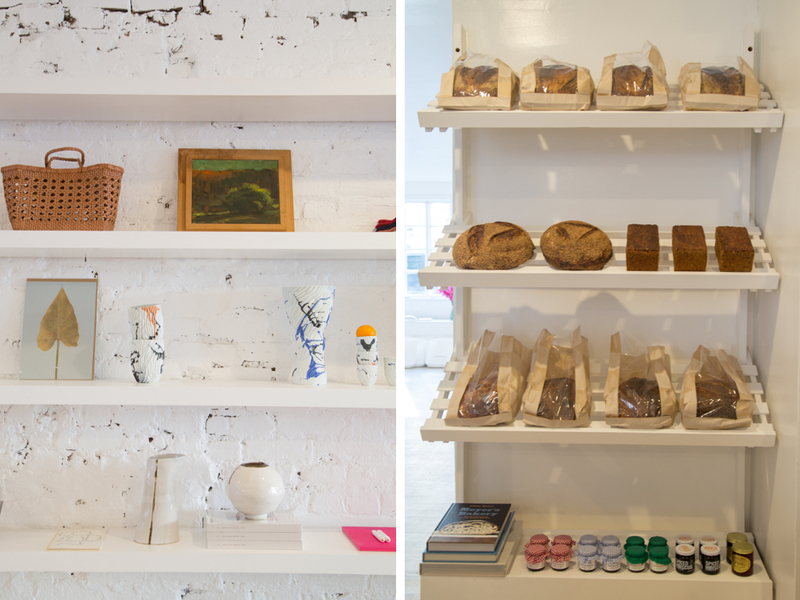 “It was conceived as a private moment of peace in the city,” she says, a place where you can read, shop, or simply enjoy pour-over coffees and Meyers Bageri breads. (After all, someone’s got to make use of those sinks.) Soon, the space will unveil a backyard garden designed by landscapist Miranda Brooks, so visitors can take their loitering alfresco.